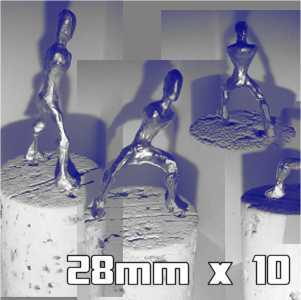 Part of the Master Collection, armatures from this pack can be used as dollies for sculpting 28mm miniatures. Included within this variety pack are 10 armatures in random poses. Packs will never contain more than 2 of the same pose.